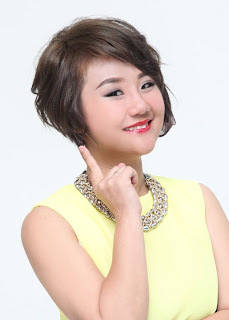 Wendy Pua | Malaysia Chinese Lifestyle Blogger: PJ Laugh Fest 2011 is back! PJ Laugh Fest is back! Join the PJ Laugh Fest 2011 contest and you may be one of the 388 lucky winners of a LIVE Card. LIVE Card offers admission discounts for PJ Laugh fest 2011 shows and beyond. It also offers F&B dining privileges at our partner outlets in Jaya One. How to win? Read the instructions below, and it’s just so easy. Terms and conditions apply. Download PJ Laugh Fest Logo from the photo album and post it as your Facebook profile picture till 18th March. At the same time, post the funniest joke you’ve heard on our wall. Hurry as only jokes posted from 7th March 2011 - 18th March 2011 qualifies for the contest. And… wait for our announcement at 5pm every day! The contest period is from 7th March 2011 – 18th March 2011, Mondays to Fridays only. Entries posted on Saturdays and Sundays are not counted. We will be giving away 38 LIVE cards every day and 46 LIVE cards on 18th March 2011 as a finale. Employees and immediate family members of the Organizer, its advertising agencies, affiliates, subsidiaries, suppliers & sponsors are not eligible to participate in the contest. Contestants must be citizens or permanent residents of Malaysia above the age of eighteen (18) years with a valid National Registration Identification Card (NRIC) number (12-digit) at the time of entry. The Organizer reserves the right to request written proof of identity, residency and age of contest winners. The Organizer’s decisions are final and binding. The Organizer reserves the right to reject any registration and/or entry at its sole and absolute discretion without having to assign any reasons whatsoever. Contest winners will be notified by telephone or email and registered mail based on the information given by contestant. Contestants are eligible to win only one LIVE card membership. Contest winners are solely responsible for the collection of their membership card in person. LIVE cards not claimed 2 months after contest ends will be dealt with at the absolute discretion of the Organizer. LIVE card is not exchangeable, transferable or redeemable in any other form. The Organizer reserves the right to use the nicknames, names, slogans and entries of the contest winner(s) without obtaining any consent nor making any payment for publicity, advertising, trade or promotion purposes in any media. Failure to comply with the terms, conditions, rules, regulations, instructions or methods of entry or any attempt to tamper with entry(s), the entry process or the operation of the contest will result in the disqualification of contestant(s). The Organizer reserves the rights to cancel (without the responsibility to award any prizes), modify, suspend, delay or extend the Contest and/or change, amend, delete or add to these Contest terms and conditions without prior notice. By participating in this contest, contestants are taken to have read and agreed to the terms and conditions of the Contest.